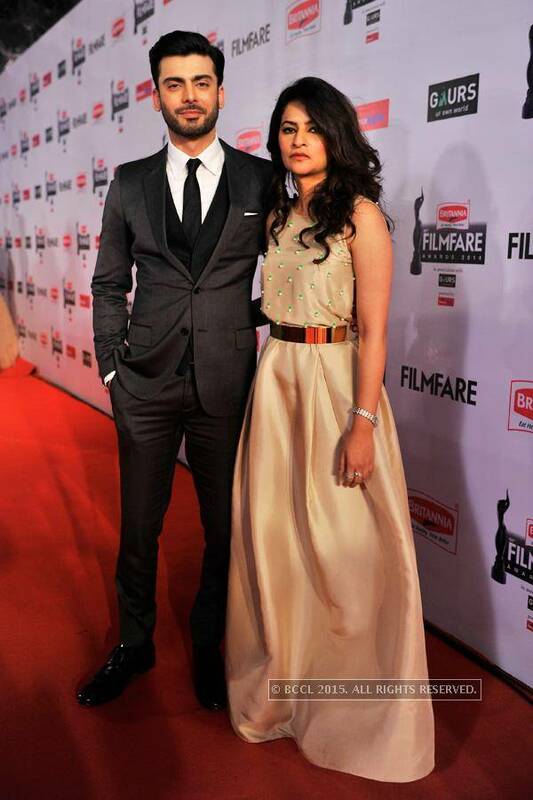 Fawad Khan with his wife Sadaf at the 60th Filmfare Awards in Mumbai. 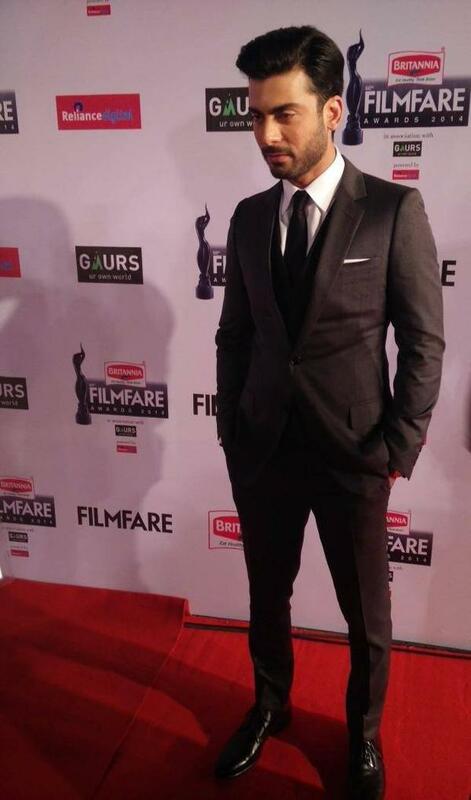 The Pakistani heartthrob Fawad Khan has won the Best Male Debut award at prestigious 60th Filmfare Awards in India. This was his second award for best male debut in Bollywood. Earlier he won Best Bollywood Debut award at Masala Awards in November 2014. Fawad Khan, who was awarded for his debut in Bllywood movie Khoobsurat, received his award from his co-star Sonam Kapoor. 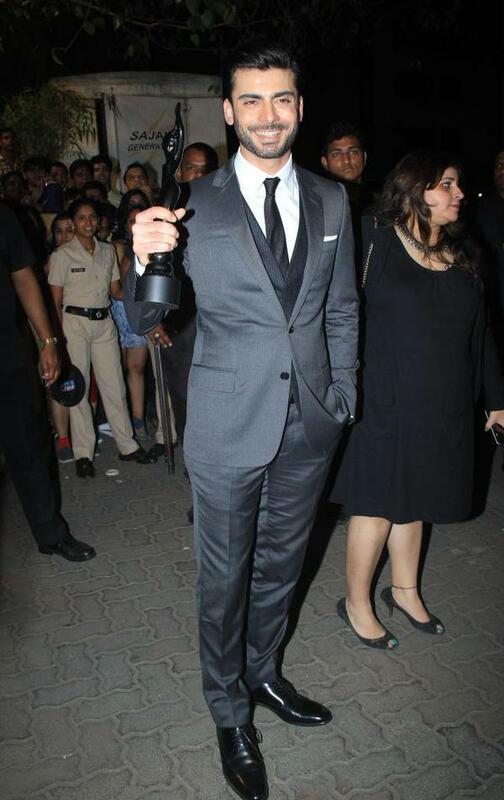 While receiving his award, Fawad Khan thanked the producers, his co-star Sonam Kapoor and specially his fans. Addressing his fans in his thanking speech, Fawad said that, “you guys are the instrument of my success. It is beautiful to get love from people in India and Pakistan. Along with Fawad Khan, Pakistani band Soch was also nominated for Best Music category for their song Awari in Eik Villain but unfortunately couldn’t win the award. For the Best Male Debut, Fawad Khan was competing with Tahir Raj Bhasin (Mardaani), Tiger Shroff (Heropanti), Sharib Hashimi (Filmistaan) and Freddy Daruwala Holiday). 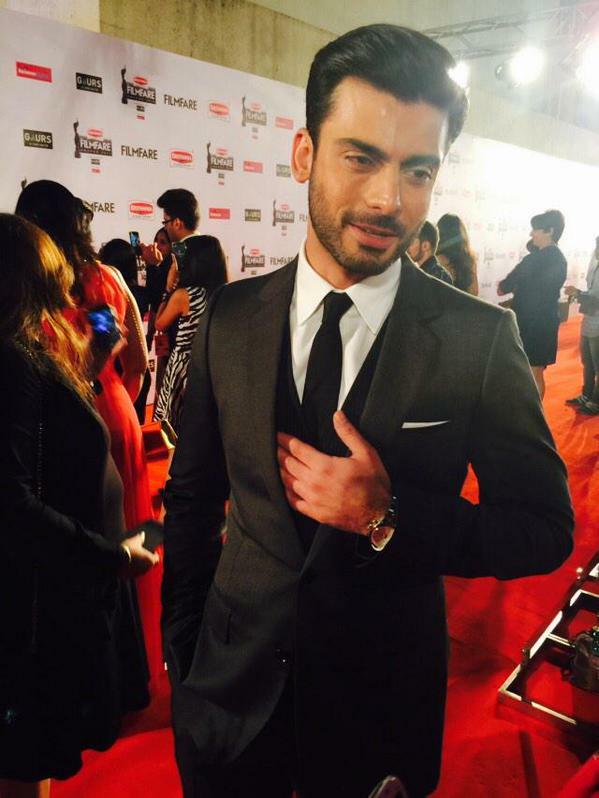 Fawad has become the first Pakistani actor to grab Filmfare award in India. Earlier, Nazia Hassan and Salma Agha also won the prestigious award in Bollywood. Fawad Khan is truly having the ideal time of an actor, with a fan following that spreads across all continents, he has recently won Best Actor at the LUX Style Awards in Karachi, Best Debut at the Masala Awards, Dubai, Fresh Face of the Year at Hello India Awards in Mumbai and now this Best Male Debut at Filmfare in Mumbai.